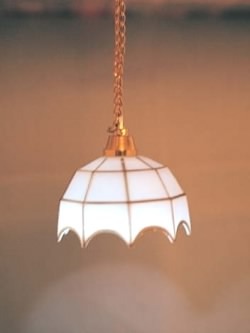 Battery operated LED ceiling light in brass finish with white Tiffany-style shade. LED Bulb lasts approximately 5,000 hours. Approximately 3 1/3" tall.